Romanian Youth Orchestra with Christian Mandeal and violin soloist David Garrett performed on September 23, during the last week of one of the biggest classical music event in Europe, George Enescu Festival 2011. George Enescu Festival 2011 is the 20th edition of an biennial event that honors the Romanian composer’s legacy. This year it started on September 1 and ended on September 25. 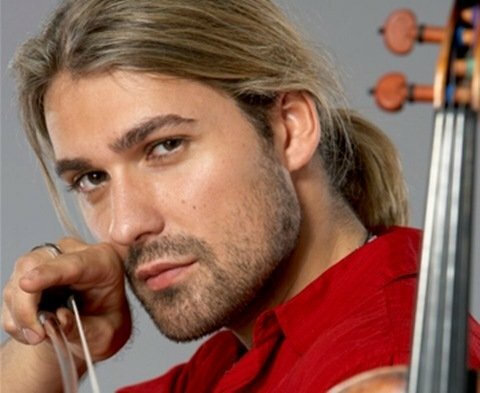 David Garrett, World’s Fastest Violinist (2008), has walked through Bucharest from his hotel to Grand Palace Hall, with no bodyguards, accompanied only by his manager and an organizers’ representative. He was carrying his violin on his back, the A. Busch Stradivarius (1716), which he has played since 2009. Carrying his valuable instrument over his shoulder has been a habit for the violinist. In 2003 David Garrett got an $1 million ex Baron Von Gause violin, created in 1770 by Giovanni Battista Guadagnini, emiliano luthier. In 2008 David Garrett felt when he was leaving London’s Barbican Hall after a performance. He was carrying his 18th century violin. “I had it over my shoulder in its case and I fell down a concrete flight of stairs backward. When I opened the case, much of my G.B. Guadagnini had been crushed.” He said. David Garrett entered the Grand Palace Hall wearing boots, jeans with golden little chains and having a kind of bun-bow-tie-tail of his blond hair. The Romanian Youth Orchestra conducted by Christian Mandeal rendered an exciting performance of George Enescu‘s Rhapsody no.1, followed by applause and cheers, then David Garrett appeared on the stage joyfully welcomed. Concerto for violin and orchestra (Beethoven), Firebird (Stravinsky), La Valse (Ravel) were performed. 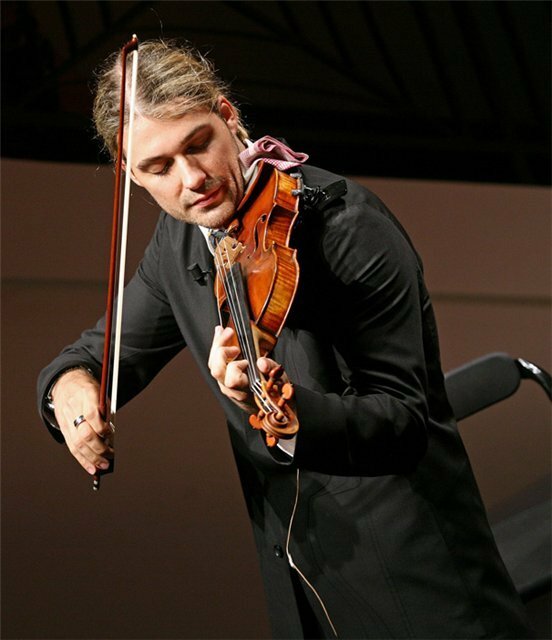 David gave an emotional and natural interpretation, showing in the same time he can play 13 notes per second, the record he established in 2008, when he played Hummelflug (The flight of the Bumble Bee) by Rimsky-Korsakow in 66.56 seconds. He wiped his sweat, smiled seductively, accepted and offered flowers. David is a former model who has been called the David Beckham of the classical scene. The audience cried “Encore!” and David Garrett pleased them a lot. He even performed some Michael Jackson’s hits and made the attendees to go on their feet. During the pause he gave autographs, signing CDs, DVDs or tickets from hundreds enthusiastic fans, especially women. The public of George Enescu Festival 2011 cried "Encore!" after David Garrett, the David Beckham of the classical scene, performed. David Garrett, 31, German/American classical violinist, got his first violin at age four and made his first appearance with the Hamburger Philharmoniker under the direction of Gerd Albrecht when he was ten. David was born in Aachen, Germany, and now he lives in New York. When he was 13, David gave a concert in the residence of the Federal Republic of Germany President, the Villa Hammerschmidt, at Dr. von Weizsäcker’s personal invitation. He was offered use of the famous Stradivarius San Lorenzo. Garrett signed an exclusive contract with Deutsche Grammophon Gesellschaft at age 14 as the youngest soloist ever. In 1997 David performed with the Munich Philharmonic Orchestra conducted by Zubin Mehta in Delhi and Mumbai in for the 50th anniversary of India’s Independence. On the occasion of the 60 years of the Federal Republic of Germany in 2009 he was invited by the chancellor Angela Merkel to attend the celebration. In 2011 he received two ECHO awards for his Rock Symphonies. The DVD David Garrett: Rock Symphonies – Open Air Live was distinguished in the category Best Domestic DVD Production and as Best Artist in the category Rock/Pop Domestic. David Garrett is Honorary Judge in the category violin at the “International Music Competition Cologne”, which takes place from September 22 to October 2 and is hosted by the Conservatory of Music Cologne. This year David Garrett played in Sweden at 34th Birthday of Victoria, Crown Princess of Sweden, Duchess of Västergötland, and he attended Verbier Festival 2011 in Switzerland. 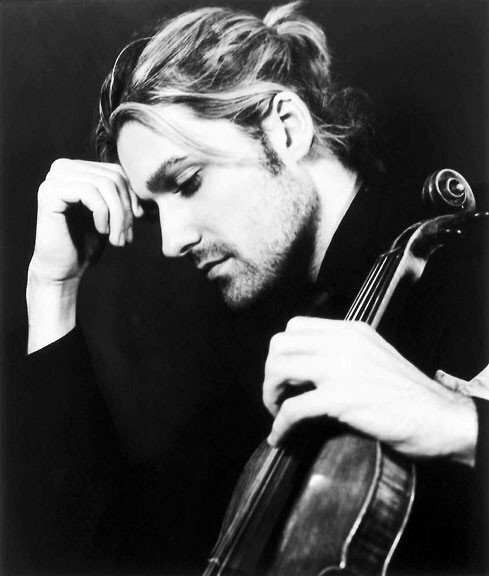 David Garrett set new violin world speed record in 2008, playing Flight of the Bumblebee in 66.56 seconds. In 2010 UK rock violinist Ben Lee, 33, of electric violin duo Fuse, played Flight of the Bumblebee on £1M Swarovski Crystal Bridge violin in 58.515 seconds. This month Ben Lee, who sings with Linzi Stoppard, has insured his fingers and his hands for £3million.